Roku is going to add a brand new feature that will allow its users to stream content right from third party apps, much like the function of the Chromecast device by Google. Roku CEO Anthony Wood spoke this week about the new product and his firm’s competition with the search giant at the Next TV Summit in San Francisco. 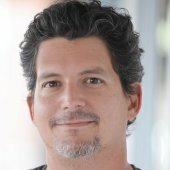 He said that Google is Roku’s largest competitor because Google has put a lot of money into TV and many other connected devices. He noted that the way to succeed in this market will be how TV integrates with the Roku technology. Wood believes that Roku has the advantage on Google in this market. He also noted that Roku is ahead of Google on licensing. This new feature by Roku, which is known in the business as discovery and launch protocol (DIAL), will turn your smart phone into a kind of remote control. The Roku iOS app and its app for Android already do this, but this new feature will let you stream video from third party applications. Chromecast does this now with Youtube and Netflix. It is not clear which apps will do this on Roku, but the device’s current apps, which include a Neflix app, outnumber Chromecast significantly. It also should be functional on a variety of tablets. However, Roku does not have an app for Youtube at this time, which has long been a downside for the device. 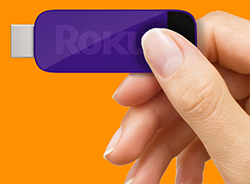 As of now the new feature is not live, and a spokesperson for Roku said that the firm has not yet come up with a launch date. Adding DIAL will allow Roku to say that it has the same functionality as Chromecast, it still does not guarantee new content sources. But, the competition in this space is sure in full swing. It looks as if smart phones will have yet another great new way to be used. We’ve already seen that transit ticketing on smart phones is taking off. What’s next?